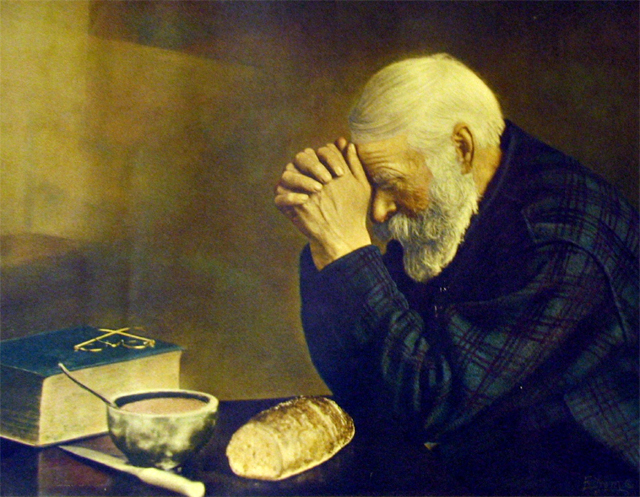 Grace: 1918 photograph by Eric Enstrom (public domain image on Wikipedia). The 1918 world-renowned photo depicts an elderly man bowing his head to give thanks. The photograph was taken in Bovey, Minnesota by Swedish immigrant Eric Enstrom.